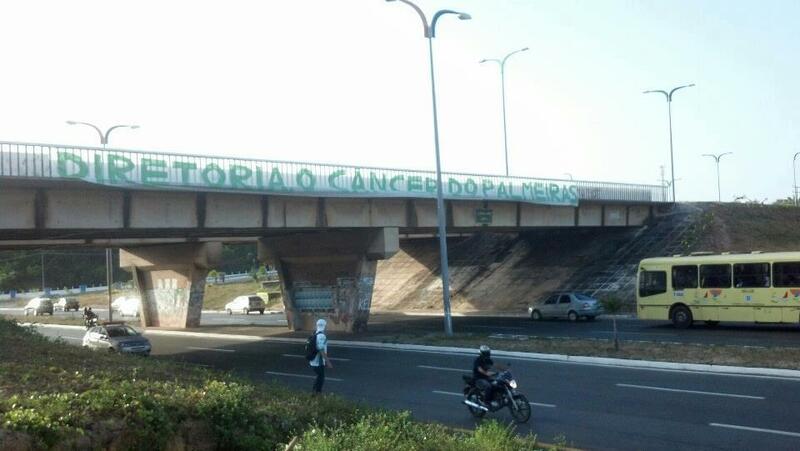 Previous Monday and in several cities, the Mancha Verde supporter group protested against the current state of S.E. 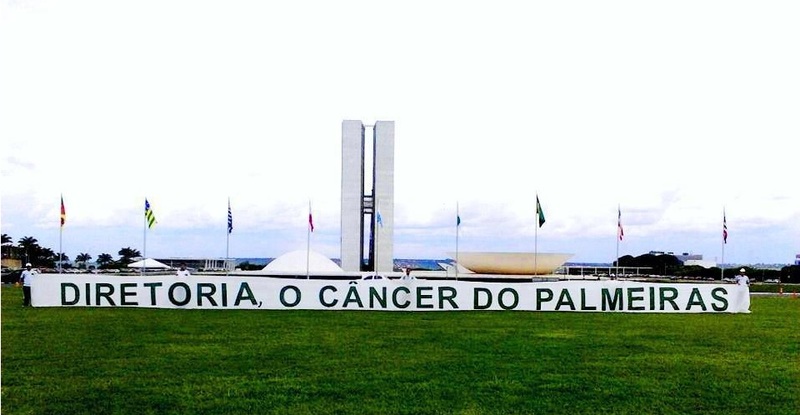 Palmeiras by displaying large banners at strategic places. 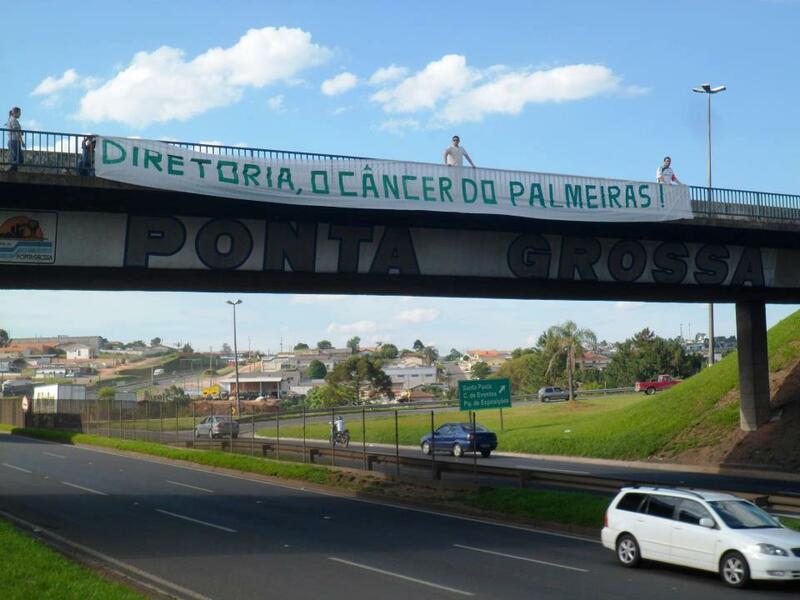 The message was clearly addressed: “Directorship, the cancer of Palmeiras”. Below, examples from the Federal District, Goiania, Piauí, Maranhão and Paraná. On Wednesday we witnessed a small but important step toward a more responsible and transparent transition process, taken we have elections coming up in January: the three main presidential candidates from the opposition – Décio Perin, Paulo Nobre and Wlademir Pescarmona – met with current president Arnaldo Tirone. The sequence of meetings to follow will serve to level available information on the financial situation, marketing, current and future procurements, transfers, you name it. 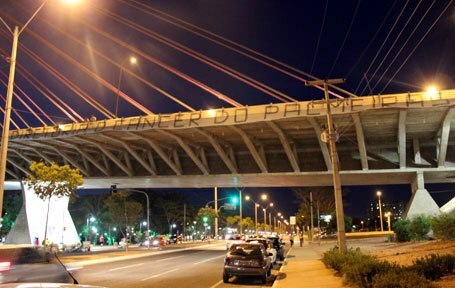 In addition, the talks serve to approach candidates with Palmeiras’ technical staff: all in all a very good initiative that will hopefully promote mutual respect and jumpstart the presidency of whoever is elected. What doesn’t need jumpstarting is the list of dismissals, apparently already crafted and ready for Thursday’s announcements. Most if not all players have already been made aware of their status. All players with contracts ending in December, for example Betinho, João Vitor, Thiago Heleno, Leandro and Daniel Carvalho, will leave. Those on loan until the end of the year – the likes of Correa, Artur and Obina – most probably idem. Even players on a longer contract, like Leandro Amaro and Maikon Leite, are at a serious risk. Journalist Alex Müller speculates as many as 23 players might have to walk the plank. Not the Pirate, though: Hernán Barcos is one of the few there’s a positive consensus about and that Palmeiras are doing what they can to keep. Marcus Assunção (knee permitting), Wesley and Henrique are also invited to stay, as are the lion’s share of the recently promoted kids from the youth academy including Raphael Alemão, João Denoni, Patrick Vieira and Bruno Dybal. Speaking of the kids: several of them played and lost yesterday against Atlético Goianense: in addition to the ones mentioned above (minus Denoni), we had Bruno Oliveira, Wellington, Luiz Gustavo, Diego Souza and Índio alongside the usual suspects like Obina, Correa and Juninho. Less than 5.000 spectators at the Pacaembu. Game highlights below. I wouldn’t know what to expect from a bunch of young guns totted together at the end of the championship, so I prefer not read too much into the result or individual performances. Actually, I won’t read anything at all. But I liked the offensive spirit. Final round is against Santos, on Saturday. I’ve no clue to how coach Kleina will set up his squad but I would assume he’ll keep to the formula of giving the youngsters more experience – even considering the pressure of a derby and all. Sub-20: Both semi-final games finished 1-1, results which qualify Santos for the finals against São Paulo (Santos finished the earlier qualifying rounds ahead of Palmeiras and tournament regulations defines that as the tiebreaker). Sub-17: After losing the first leg in the semi-finals against Desportivo Brasil, Palmeiras drew the second leg 2-2 and are eliminated. Sub-15: first final leg against Audax was a goalless draw, with the second (away) leg taking place this coming Saturday at 9am (Brasilia time). Only a win will do, as Audax finished the qualifying rounds ahead of Palmeiras. 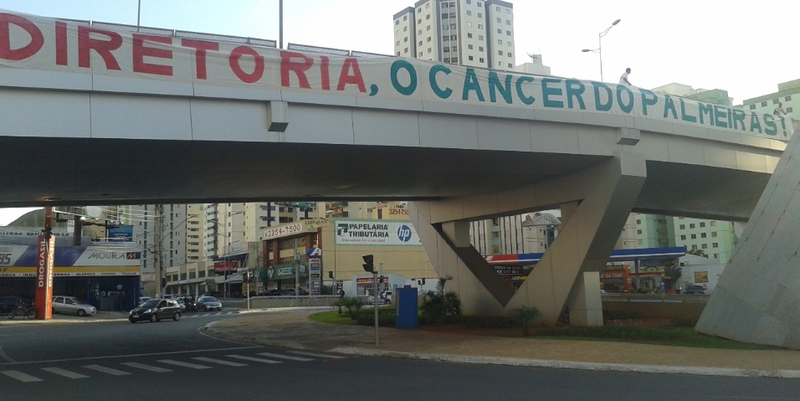 My friend, I went to Pacaembu to watch this game! Na alegria e na tristeza, na série A ou série B, PALMEIRAS MINHA VIDA É VOCÊ!!!!! That’s the spirit, Matheus. That’s the spirit we need to regain our forces and keep the dream alive. Avanti!